Is My Snoring from Sleep Apnea? Sleep apnea is a sleep disorder that causes pauses in breathing while sleeping. These pauses in breathing can occur hundreds of times per night with each potentially lasting longer than a minute. 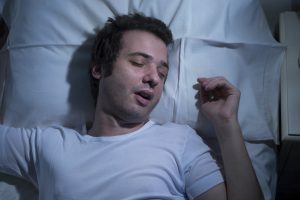 The most common form of sleep apnea is obstructive sleep apnea, which is caused from an obstruction in the airway that causes the air passages to narrow. This obstruction is a leading reason why chronic snoring is a primary symptom of sleep apnea. Snoring is caused from an obstruction in air flow in the passages in the back of the mouth and nose. The collapsed area of the airway where the tongue and upper throat meet causes a vibration when breathing, creating the snoring sound. While snoring from time to time is often not a concern, if you find yourself snoring more often than not, you may have sleep apnea. To diagnoses sleep apnea, you will need a sleep study. A sleep study will monitor your oxygen levels while you sleep. After analyzing the data, it can be determined if sleep apnea is the cause of your snoring. 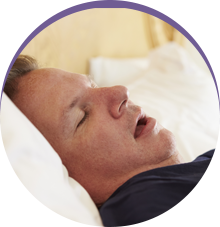 If you do have sleep apnea, you will require immediate treatment as untreated sleep apnea can cause serious complications on your health and quality of life. At Sleep Rehab, we offer treatment for sleep apnea in Plano. 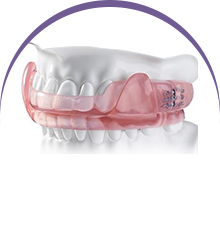 The most common and preferred form of treatment involves the use of an oral appliance. An oral appliance is worn at night while you sleep. It is similar to an athletic mouthguard; however, it repositions the jaw forward to keep the airways open. By doing so, you will not just reduce your snoring, but also treat your sleep apnea. In some cases, an oral appliance may not be effective. When an oral appliance does not work, you may need a CPAP machine. A CPAP machine will deliver a steady stream of air through a mask that is worn over the mouth or nose. The steady airflow will keep the airways open to stop the interruptions in breathing. 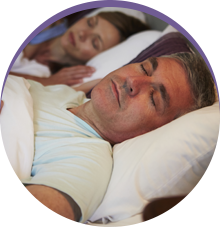 At Sleep Rehab, Dr. Fedosky provides effective treatment for chronic snoring and sleep apnea. If you suffer from chronic snoring or suspect you may have sleep apnea, it is time to schedule a sleep study. With the right treatment, you will sleep soundly while protecting your health and quality of life. Contact Sleep Rehab today to schedule a consultation for sleep apnea treatment to regain control of your life.